Our pure silk Frocks are easy to wear and so cute for new born Princess. 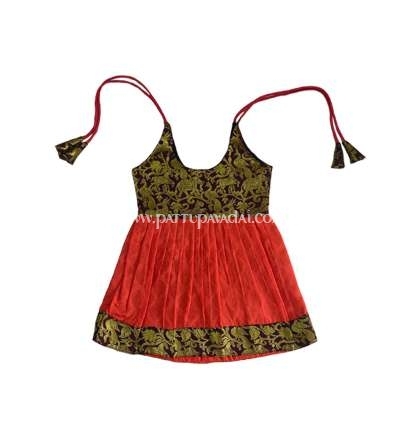 We have introduced babies’ silk wear for 0-3 Months, 3- 6 months and 6-9 months easy to wear Silk Frock. Stunningly rich colors on pure silk and embellished with half fine zari creates an apparel that is fit for a princess. 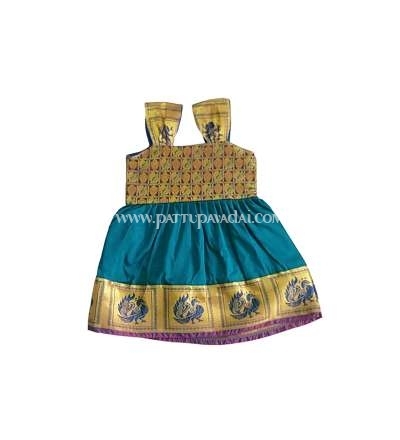 This traditional dress for babies in trendy and contrasting colors and traditional motifs is the perfect attire for those special occasions and festivals. Our clothes are designed to reflect the beauty in its pristine form, like our traditions. Our dresses are specially made to ensure that your baby gets the most premium and comfortable clothing at an affordable price. These gorgeous frocks are made with pure silk. Shop Pattu Silk frocks online on our site. 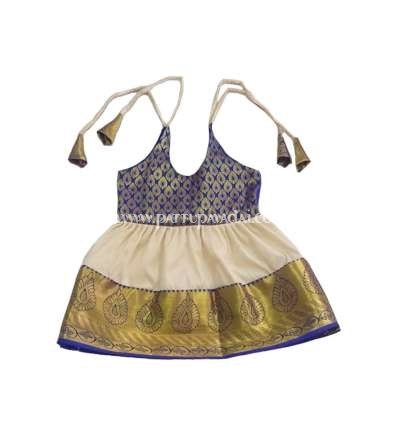 You will never have to go anywhere else to buy ethnic silk wear for your little princess. Our silk frock comes with nice pretty golden border. 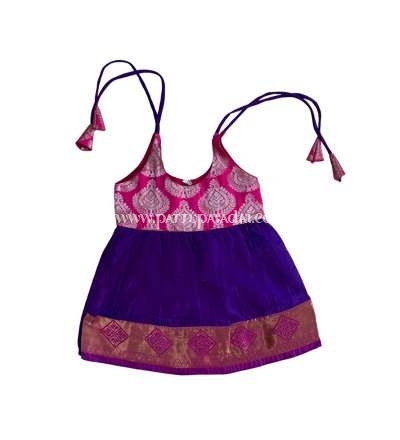 It comes in various designs and looks so ethnic and beautiful and you would love to adorn your daughter in this dress. Let the Festive spirit of South India stay with you where ever you are in this world. Colorful Pavada sets with beautiful embroidery are just the ones that you would be looking for to gear up your kids on the next occasion. 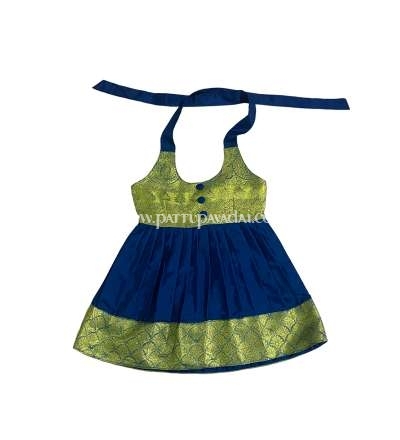 At pattupavadai.com we have an envious collection of kid’s dresses. 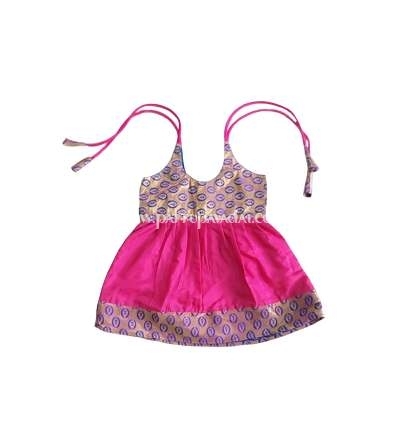 Check out our kid’s silk frock collections and get spoilt for choice as you search through an exclusive range of the choicest clothes for your young princesses. 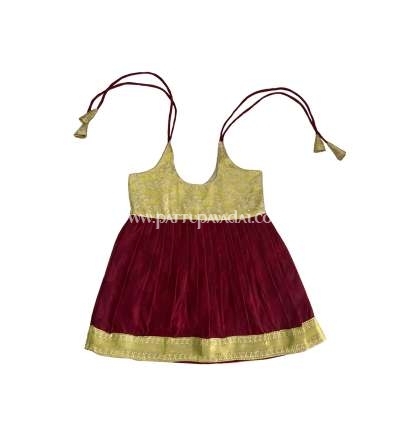 Let the next festive occasion see your little darling look adorably gorgeous wearing these beautiful silk frocks. View your Cinderella in our new latest daunting collections.